HEREDIA, Costa Rica – A short drive north of the country’s capital lies the community of San José de la Montaña. Winding roads and climbing hills lead up to the quiet and vastly green area where businesses and homes dot the roadside. Nestled on a hillside sits a small coffee farm that has been producing crops for generations. 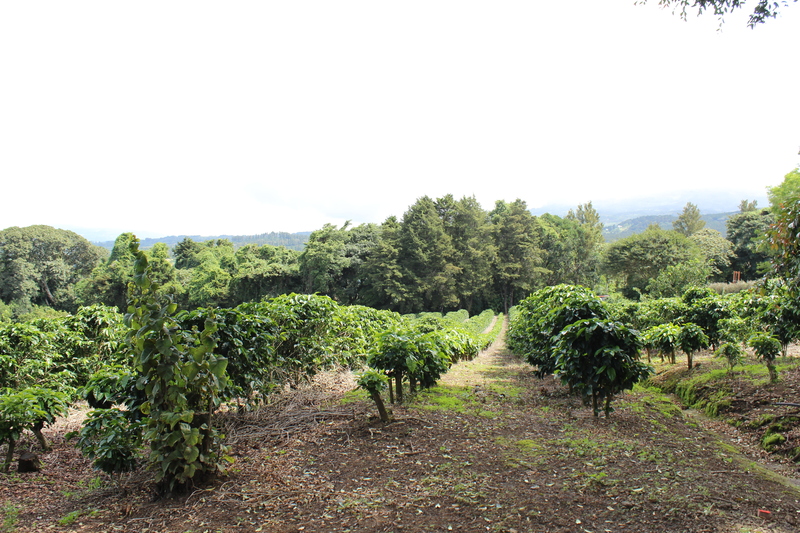 Coffee plantations are numerous in Costa Rica, and many small producers work in the central valley. But one of the country’s main exports is facing an outbreak of fungus that has spread across Central America. Coffee leaf rust, or roya, has recently hit the country hard – 65 percent of Costa Rica’s crop was affected as of February and more losses are expected by next year’s harvest. Roya is a fungus that primarily grows in warm, humid conditions. The disease grows on the underside of the coffee leaves in small spores, making it hard to spot from above. When the leaves are infected it causes them to fall off and the coffee seed is no longer usable. The spores of the fungus can be carried by the wind and rain and spread to nearby plants as well. 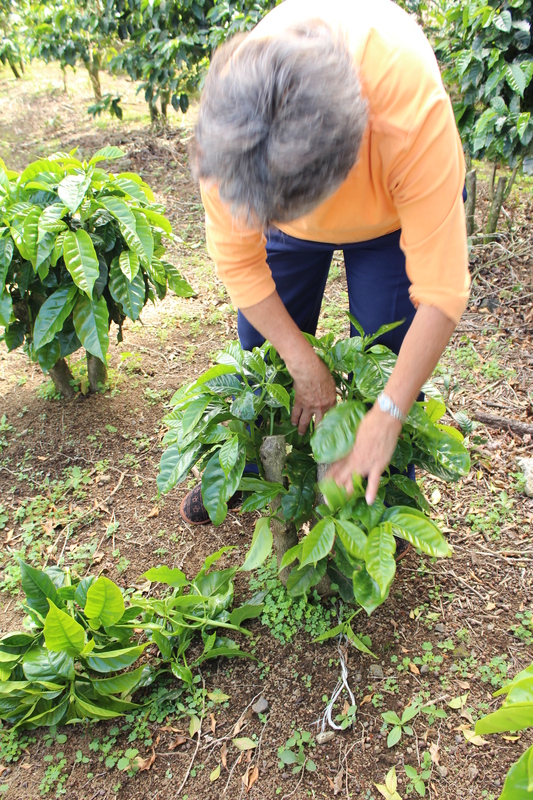 Felicia Ruiz Barrantes, owner of Finca los Chaverri in San José de la Montaña, grew up on a coffee farm. Her father owned the plantation for almost 40 years and when he died she took over. Ruiz Barrantes said it is common for some roya to exist in coffee farms, but it is usually very little, roughly 1 to 5 percent. But this year roya has been a much more serious problem. Robert Jones Chaverri, Ruiz Barrantes’ husband, works on the 10-hectare (almost 25-acre) farm with her and said this most recent outbreak is rare. The two coffee farmers fumigated their crops last year to prevent the roya from taking hold. Some plants still got infected, however, and are being treated. Carlos Díaz Gómez, director of the Ministry of Agriculture and Livestock in the Heredia office, said that climate change and extremes in weather conditions in 2012 played a big role in causing the fungus to spread so drastically this year. Changes in the weather, such as the timing of rainfall and other conditions, make the cycle of the disease harder to predict and treat. 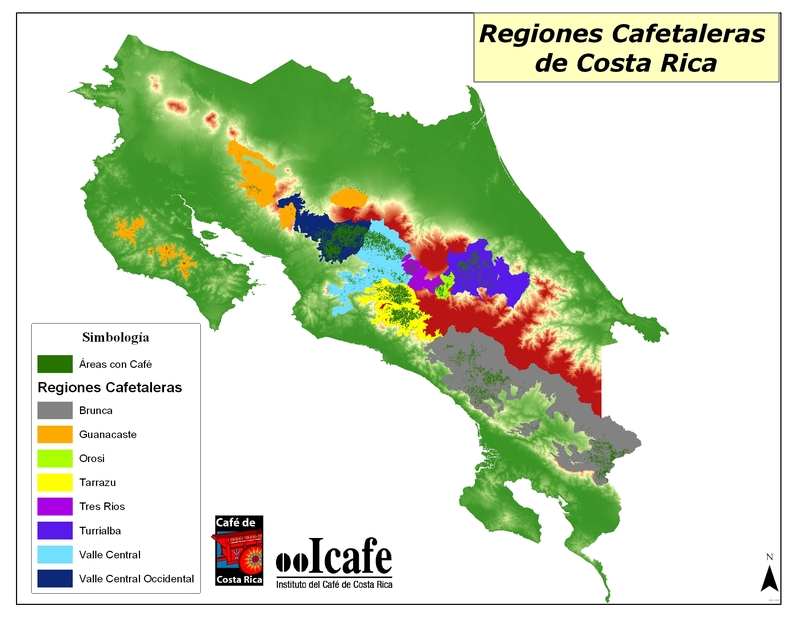 Alfredo Garita, engineer at the Instituto del Café de Costa Rica, ICAFE, said it is possible for a new strain of roya to be infecting plants, making it harder to combat. He said that in the past Costa Rica has had only one type of roya, although more than 30 exist in the world. Ruiz Barrantes and Chaverri also believe that the time of year the fungus hits hardest is a factor in the spread of the spores. In their experience, the disease was worse during the harvest, which takes place at their farm in December and January. “The people, when they pick the coffee, they get their hands and their canastos (baskets) full of the fungus, and it started distributing on the rest of the coffee farm,” Chaverri said. “Everyone, journalists, television, radio, are only talking about climate change and global warming. The whole world said it. I don’t know much about that, but this year and last year, there was no rain,” said Ruiz Barrantes. Miguel Varela Murillo, general manager of Coopelibertad, a cooperative of approximately 1,000 small coffee farmers in the Heredia area, said that roya caused some owners to abandon their plantations, posing another challenge – the unattended, infected plants spread wind-borne spores. Ruiz Barrantes said the fungus primarily attacks shorter plants or leaves closer to the ground because it is warmer and more humid – prime conditions for the fungus to grow. Fumigation and preventive measures must be applied to the base and underside of the plant to be effective. Once it is applied to the plant, the fungicide is absorbed into its system and treats the entire bush. The Ministry of Agriculture and Livestock (MAG) and ICAFE recommend that farmers apply treatments of preventive fungicides around May to June and curative treatments around July to October, but more frequently depending on the severity of the infection. ICAFE and MAG also recommend cutting out and disposing of incredibly sick plants to prevent the disease from spreading further on plantations. Varela explained that to produce healthy crops, treating the roya itself is just as important as keeping soil healthy and maintaining the farm. “It’s like the human body, you know, if you don’t eat well your defenses are low so it’s easy for you to get sick. And that’s the same thing with the coffee trees,” Varela said. Valle Occidental is one of the largest coffee producing regions in Costa Rica. Valle Central is smaller, but is where Heredia, parts of San Jose, and parts of Alajuela lie. Díaz said that the loss of these coffee crops makes a significant impact on Costa Rica’s economy and small coffee producers. Varela said that the coffee producers’ co-op Coopelibertad has worked with government programs to provide assistance for farmers. The co-op has given farmers free information about the spread of roya and ways to help prevent it and cure it. According to Díaz, MAG has made products available to farmers with infected plants. He recommends that farmers who have noticed roya notify the Ministry of Agriculture and Livestock to get help and provide data. Garita recommends that farmers who notice roya call ICAFE, which will inspect soil conditions and recommend treatments to farmers for free. Ruiz Barrantes works with Cooperlibertad, which also sends out agricultural engineers to inspect the soil and plants for farmers who need help. Garita said that monitoring the way the fungus is growing is key to controlling its effects. Taking note of which products work and don’t work, how and when the fungus is growing, and watching the cycle of the roya infection, are all key elements to discerning what is causing the cases to be so severe. “If the producers don’t understand what roya is, they will not be able to fight it,” Garita said. 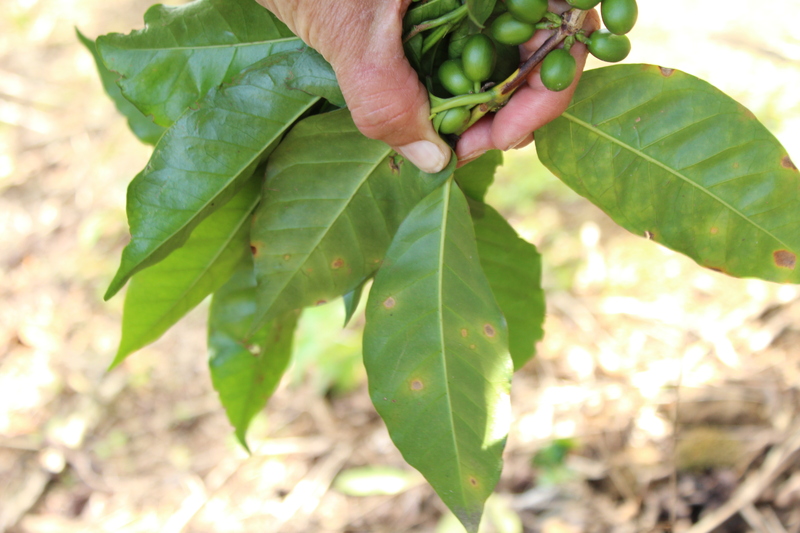 After the roya outbreak, the government offered free curative treatments for farmers who have plantations that annually produce no more than 300 fanegas (one fanega is about one to two bushels of coffee). Those who qualify and choose to receive the fungicides from MAG must go to the regional office to sign documentation. The idea was that producers who were able to sell more product could afford to buy more treatment chemicals. Treatments for roya are costly, ranging from $40 per liter for the generic version to $60 per liter for Atemi, the name brand chemical most used. Treatments must be applied twice a year in the winter when the ground is wet. The process that MAG recommends to prevent roya requires applying two treatments between May and September. These treatments use copper oxide or hydroxide. One to two curative treatments must be applied later in the year, depending on the strength of the roya. Ruiz Barrantes and Chaverri fear that while they have been treating their farm for roya, environmental changes might affect the way their preventive measures work. That could mean buying more expensive products to combat the roya affecting their crop.